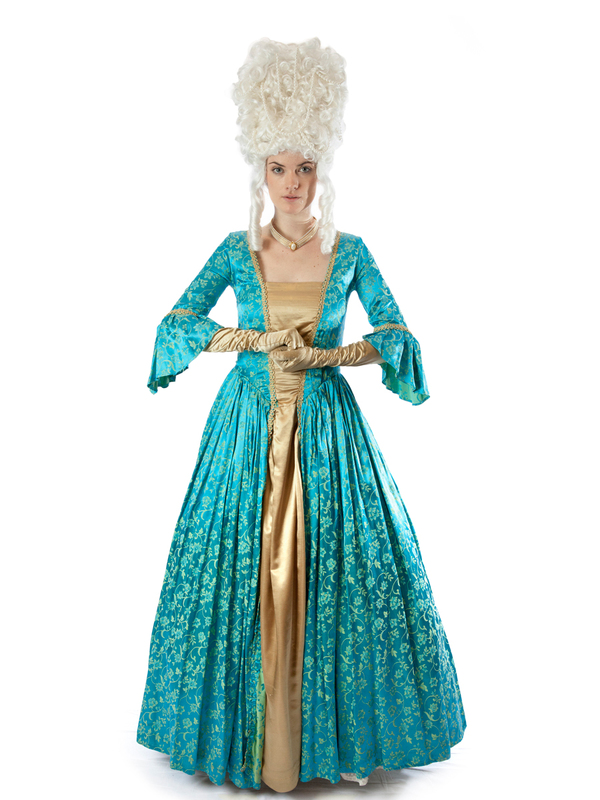 Blue and gold 18th Century Marie Antoinette inspired female costume for hire. Costume comes with dress petticoat, gloves, and necklace. Optional court styled wig and fan available.